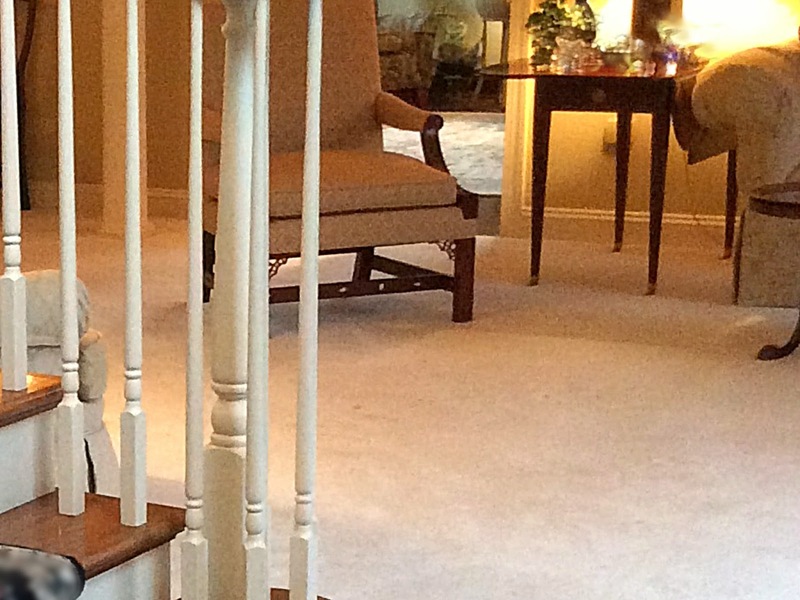 Photos from a major makeover to a Doylestown, PA home that included a floor covering upgrade. Carpet which covered the floors of the home's conjoined living and dining rooms was lifted and replaced with coordinated hand-knotted oriental rugs from Brandon Oriental Rugs. This composite image displays the big improvement in the look and "feel" of the two rooms imparted by the quality choice of the homeowners. Wall-to-wall carpet failed to give definition to the rooms. With carpet, the space looked like a single, large room with lotsa different furniture shoved into it. The oriental rugs clearly define and delineate two separate rooms with distinct uses. The rugs themselves are individually unique, but united across the space by shared colors, textural quality and clarity of design. They bring focus and an inviting intimacy to the rooms. If your floors are naked and uncovered; ho-hum plain with wall-to-wall carpet; or look shabby from cheap area rugs, consider what REAL ORIENTAL RUGS could accomplish in your home. Look what you could be doing with your home. You can make your world your way with REAL handmade oriental rugs from Brandon Oriental Rugs (www.BrandonRugs.com). This video deals with a major home-makeover in a Doylestown, PA home that included a floor covering upgrade. Carpet which covered the floors of the home's conjoined living and dining rooms was lifted and replaced with coordinated hand-knotted oriental rugs from Brandon Oriental Rugs. The video displays the big improvement in the look and "feel" of the two rooms imparted by the quality choice of the homeowners. Wall-to-wall carpet failed to give definition to the rooms. With carpet, the space looked like a single, large room with lotsa different furniture shoved into it. 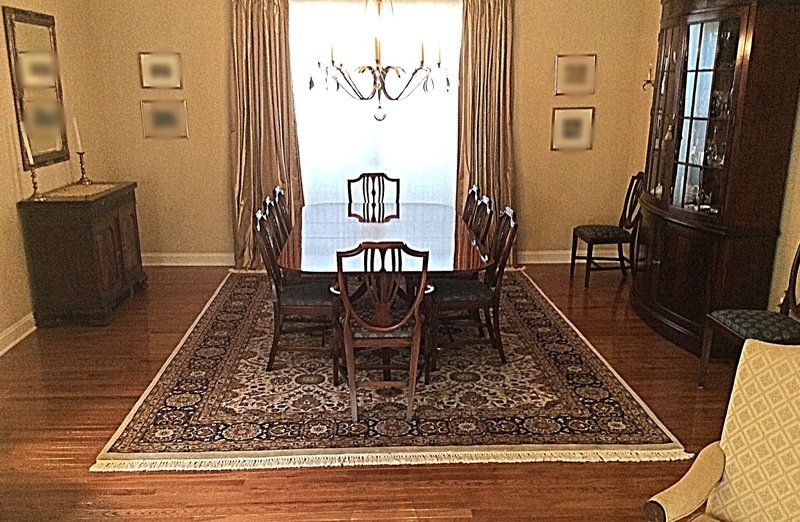 The oriental rugs clearly define and delineate two separate rooms with distinct uses. The rugs themselves are individually unique, but united across the space by shared colors, textural quality and clarity of design. They bring focus and an inviting intimacy to the rooms. If your floors are naked and uncovered; ho-hum plain with wall-to-wall carpet; or look shabby from cheap area rugs, consider what REAL ORIENTAL RUGS could accomplish in your home. Brandon Oriental Rugs has a host of services to make the experience of shopping-for and choosing fine quality rugs as enjoyable as owning them. This is another how-to video about the use of REAL handmade oriental rugs from Bucks County, PA oriental rug store Brandon Oriental Rugs (www.BrandonRugs.com). This video shows how a "pass-through space" living room in Bethlehem, PA was transformed into a welcoming gathering space by upgrading naked hardwood floors with the elegant floor covering provided by a REAL oriental rug. The Persian Kerman rug seen was selected by the homeowners with help from the Rug-Search(tm) service of Brandon Oriental Rugs, a specialty oriental rug store serving Bucks County and surrounding counties in Pennsylvania and New Jersey. Can you see what you could be doing with your floors to make the starkness of what is bare into a warm place at the center of your home? Another how-to video regarding use of REAL handmade oriental rugs from Bucks County, PA oriental rug store Brandon Oriental Rugs -- www.BrandonRugs.com . 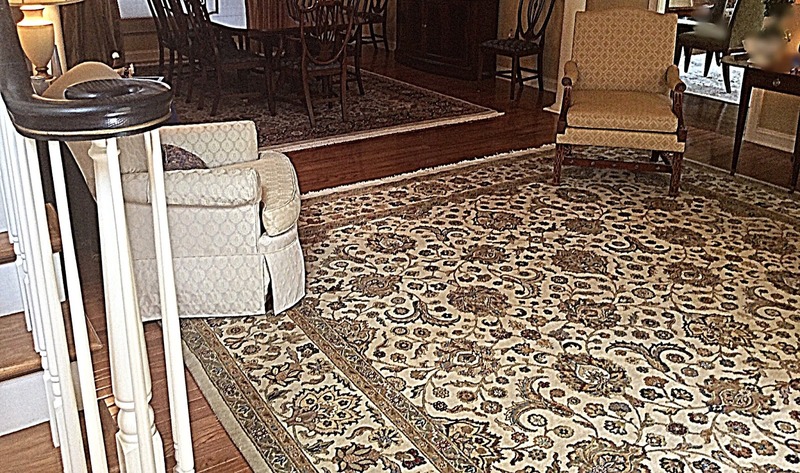 This brief presentation show the remarkable improvement to the look and feel of an already lovely living room in Holland, PA (Bucks County) that results from the use of a real handmade oriental rug. The rug seen in the concluding frames of the video is the superb selection made by our customer. Like the last perfectly fitted piece of a puzzle, it allowed her to make her world her way, and fulfilled the vision she had for her room. Do you see what you could be doing with the floors of your home by using REAL rugs? Look what you coud be doing with your home. 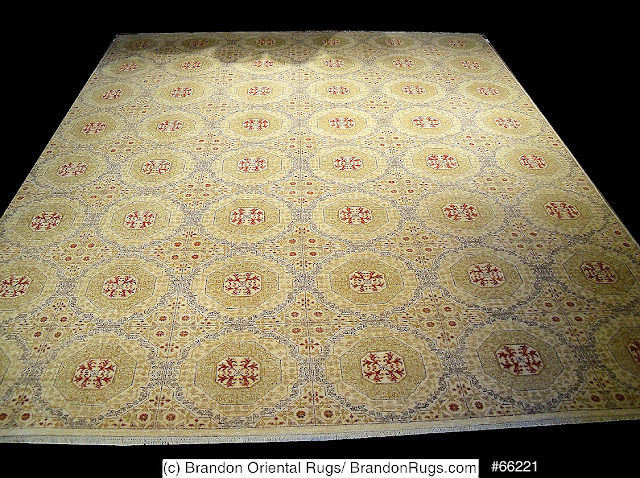 You can make your world your way with REAL handmade oriental rugs from Brandon Oriental Rugs (www.BrandonRugs.com). This video deals with a living room belonging to an interior designer in Yardley, PA that is vastly improved by using an oriental rug. Naked to elegantly dressed floors are easily accomplished with free services and help from Bucks County, PA rugstore Brandon Oriental Rugs. Princeton, NJ homeowners called Brandon Oriental Rugs (a specialty oriental rugstore in Furlong (Bucks County), PA to invite us to help them find "a traditional quality but non-traditional look" rug to complete the renovation of the family room in their expansive home. They confessed that they had been trying to find a solution online via internet rug e-tailers and department store web outlets, but were disappointed with the look and quality of the rugs (5) they had tried so far. 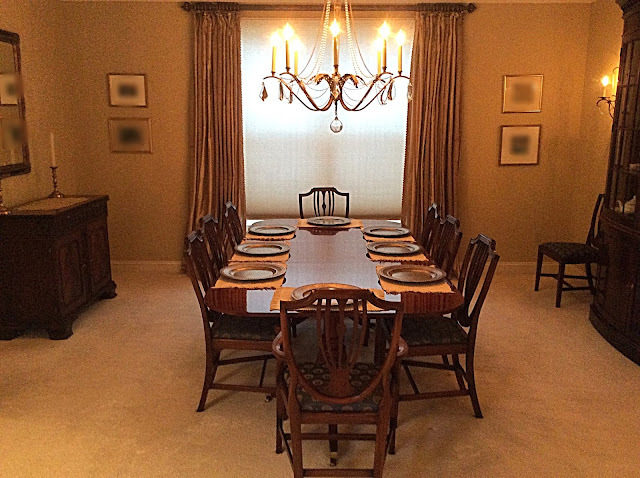 Brandon Oriental Rugs took cues from the nearly completed room (seen in the image below); used the resources available to us via our proprietary Rug-Search(tm) database, and began gathering selections appropriate for satisfying the customer's requests. About twenty different rugs were presented as preliminary considerations via e-mail and virtual room imagery. Of those, the customer asked to see five in the room; and from among those, the rug seen in the pictures below was chosen. We located twenty rug selections to appropriately satisfy the search parameters our customers established for us. Of those twenty, eight were actually presented in the home for on-site consideration. The new decor - recently introduced to the room - was in place for the evaluation. The rug seen in the image below was selected as most suitable for the look and feel of the room as envisioned by its owners. Choice matters; size matters; quality matters; color matters; character matters; price matters. This IS a "matter-REAL" world. Brandon Oriental Rugs knows how to find and satisfy what matters to you when you are looking to do something extraordinary to distinguish the furnishing of your home or office. [Brandon Oriental Rugs is "more than a store, we're a service". Service is our top-priority mission. We make the experience of shopping for and acquiring fine quality handmade rugs a distinct pleasure for our customers. Since our founding we have pledged -- and kept our pledge -- that customers using our service will get better quality rugs for what they want to spend, or spend less for the rugs they want to acquire. In all the time -- since our store opened in 1995 -- we have never advertised "BIG SALE" style promotional campaigns or events to lure, or mislead customers ("Liquidation", "50 - 75% OFF", "Limiited Time", "Wholesale to the Public", "65% + 15% + 10% SALE"). Even the internet purveyors of rugs don't seem to have a better price -- or reason why they don't -- when it comes to price for quality (value) when compared with Brandon and all we offer.